Dr Sunderland is the founding Director of four organisations: Trauma Informed Schools (UK), The Centre for Child Mental Health, The Institute for Arts in Therapy and Education (IATE), The London Art House. Dr Sunderland is Chief Executive and one of three Founding Directors of The Institute for Arts in Therapy and Education, www.artspsychotherapy.org. The Institute is a British accredited Higher and Independent Education College and academic partner of London Metropolitan University. The Institute has been running for over 30 years and currently has over 350 students. Dr Sunderland has written the syllabi for four Masters Degree programmes (East London University and University of Exeter awards). 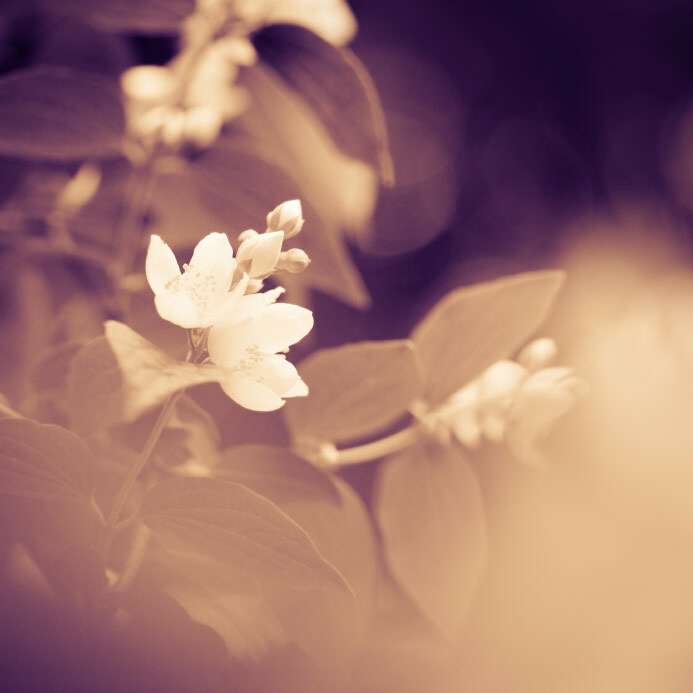 Two of the Masters Degree programmes include MA Integrative Child Psychotherapy (unique in the field of child mental health) and MA Integrative Arts Psychotherapy. Dr Margot Sunderland is Co-founder and Director in Education and Training at The Centre for Child Mental Health. The Centre offers one day conferences and trainings in key interventions, tools, techniques and theory in healing conversations with children and a wide range of child mental health topics. (see www.childmentalhealthcentre.org for details). Over the years, hundreds of international acclaimed child and family mental health professionals have presented lectures, trainings and workshops at the Centre. To support anyone working to improve the emotional health of children and young people with practical tools and techniques and essential theory from child psychology and brain science. To empower child professionals to work more effectively and confidently with children, young people, parents and families. To address the urgent need for many more people to be trained to work effectively and ethically with the unmet emotional and relational needs of children, young people, parents and families. (In the UK, there are over 30,000 children and young people on waiting lists for mental health services). To broaden the impact of the most up-to-date research from psychology and the brain science about the emotional well-being and mental health of children and young people. Dr Sunderland is the Founding Director and Chief Executive of The London Art House (conference and banqueting venue with a difference!) It is a Johannsen Recommended and Condè Nast Award Winning Venue, and has also been awarded the status of “Excellence in Venues” in Blake’s Parliamentary Yearbook. The London Art House is the brainchild of a Slade trained fine artist/ theatre designer Nicky Armstrong and Margot Sunderland. 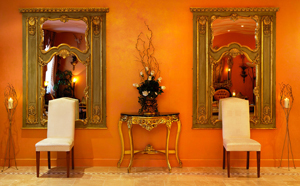 They both adore interior design and the creation of beautiful environments. Their shared mission has been to make customers feel uplifted and inspired through the psychological effects of colour. By knowing how colour affects emotions, paint with particular hues, pigments, saturation, luminosity was chosen to activate the brain’s feel good chemicals ensuring customers feel inspired, engaged and relaxed. 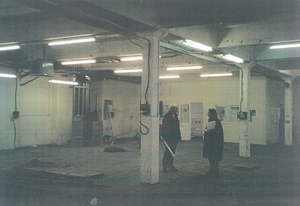 Originally, The London Art House was an old dilapidated printing factory. In this photograph you will see Margot and Nicky discussing what to do! So over 15 long years, the building has been totally transformed (see photos below). 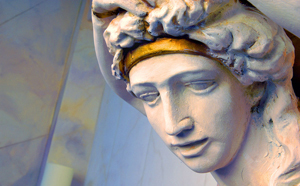 Specialist knowledge in beauty, art and emotional nourishment. Using this specialist knowledge in conjunction with all manner of fabulous artistic techniques, e.g. trompe l’oeil, gold leafing, stonework and marbling, each room has been created to capture the particular style, texture and colour combinations of famous artists, art eras or specific paintings. 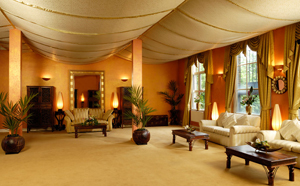 All this has then been adorned with beautiful furniture, lighting effects and water features. It is this extraordinary attention to every detail of sensory stimulation that makes the London Art House, not only an enriched environment, but also a ‘sensorial spa’! Even the toilets offer a visual feast. The 12 rooms at the London Art House are available for conferences (up to 280 delegates) meetings, seminars, weddings, and any special celebratory event such as birthday parties and book launches. The London Art House even has a fabulous children’s section available for hire, with all manner of awe-inspiring play, theatrical and sensory zones. 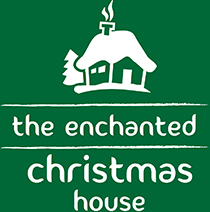 In light of this every December the venue runs the stunning “Enchanted Christmas House” for the under – eights and their parents, (musical theatre written and directed by Margot Sunderland). But whatever the event, those who enter the London Art House have a spontaneous “WOW” response. They feel motivated, excited and emotionally nourished. 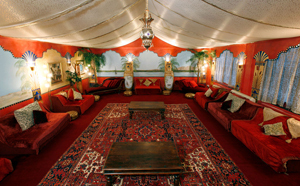 If you want to make a booking at The London Art House and let us transport you out of the ordinary into the exquisite!